South African startup LinkdPro claims to be Africa’s first on-demand digital platform connecting experienced independent professionals to companies looking for specialist industry expertise on a project basis. Launched four months ago after 14 months of development, LinkdPro is a niche skills marketplace independent professionals, ranging from strategy consultants, on-demand CFOs to ex-investment bankers and industry sector experts. Co-founder Scelo Makhathini told Disrupt Africa the continent’s economic boom over the last decade has presented the challenge of providing the skills necessary to drive growth in key industries. “Many African countries face a “brain drain” of their top independent professionals, where highly experienced professionals, educated at leading international business schools, opt for bigger project opportunities in developed markets,” he said. 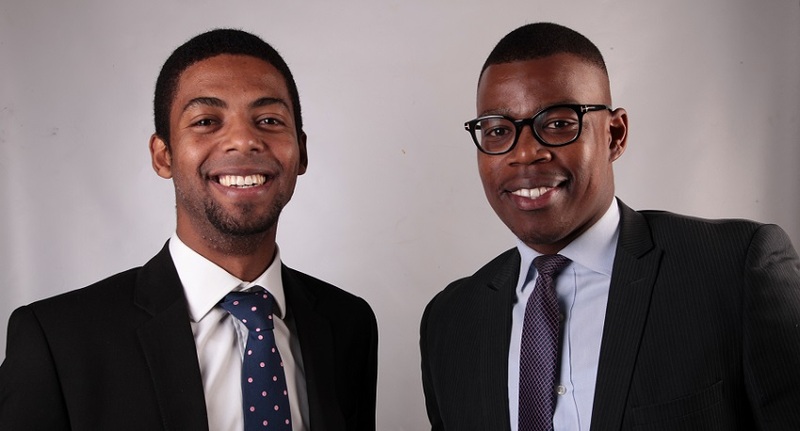 Makhathini, who is a chartered accountant by training, joined forces with computer scientist Eugene De Beer in a bid to create a solution that would make sourcing top independent professionals “as easy as buying airtime”. That solution is LinkdPro. “Throughout our careers in financial services, we noticed that for some of our clients sourcing independent specialist skills efficiently for project-based work was quite a difficult task, and the reason for this being that the market of experienced independent professionals is very fragmented and no local marketplace exists for them to market their skills,” he said. LinkdPro has been developed as an exclusive network of top-tier professionals, and is seeking to democratise existing specialised skills within African professional services industries. It hopes to enable governments and private institutions to confidentially post project-based work in sectors that suffer from skills shortages. The startup closed a small angel round in August, but is working on raising a Series A funding round by February of 2017. Makhathini is confident of success given the positive reception LinkdPro has received. “Clients like the on-demand, cost-effective and flexible delivery model which challenges the rather unquestioned dominance of big professional services firms, particularly big consulting firms who charge exorbitant fees,” he said. The company is predominantly focused on South Africa, although many of its clients have operations in many countries on the African continent. “For this reason we are actively looking for top independent talent on the rest of the African continent. Our clients need professionals in countries with a deep understanding of local markets to help them unlock business and growth opportunities on the continent,” Makhathini said. Consultants join LinkdPro for free, while clients posting projects also do so at no cost. If LInkdPro connects a client with a consultant, it charges a commission of between 15 and 20 per cent. “We can’t divulge exact revenue or profitability numbers at this stage but what we can say that is that since launching we have had some great mandates from JSE-listed financial clients and are also in in the process of signing letters of intent with large mining houses and FMCG clients, all of whom are listed on the JSE,” Makhathini said. LinkdPro has faced its own challenges with finding skilled personnel to ease its development, especially in the IT space. “Contrary to popular belief, there is still quite a huge shortage of first-class developers on the African continent,” Makhathini said. Access to highly specialised skills in terms of business strategy has also been an issue, but Makhathini said these challenges only serve to validate LinksPro’s existence in the market. “We have now created a unique depository of specialised skills from which business and government institutions can tap into for rapid business growth and faster access to opportunities on the rest of the African continent,” he said.